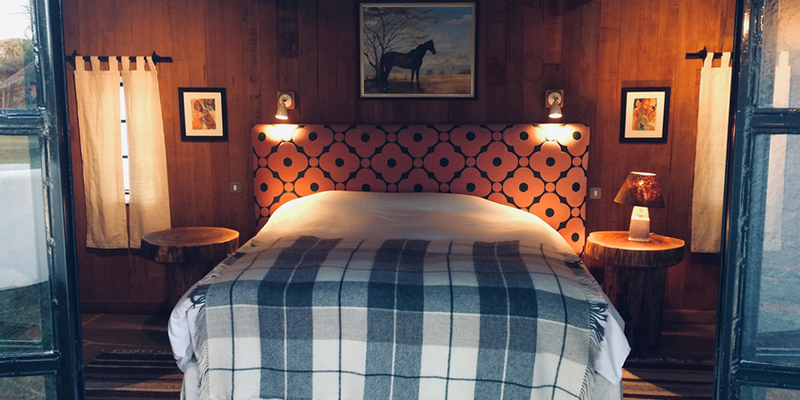 We have converted a stable yard into ten beautifully and originally designed contemporary rooms. Two small twin rooms with an interconnecting door, three small double bed rooms, three large triple rooms each with a kingsize bed and a single bed, two triple rooms each with two queen size beds and a single bed. All of our rooms have their own private bathrooms and verandah over looking the farm all its birdlife and wildlife grazing nearby. There is a communal sitting room with a fireplace, books and games and wifi.This spacious suite has a traditional living area with an open fireplace, colonial furnishings and a beautiful marble clad bathroom complete with a classic roll top bath to soak away the safari aches. The private old terrace provides a space for romantic dinners or somewhere cool and tranquil to relax.